In early and mid 1800s America, landscape architecture began to be of increasing importance. As cities and towns grew, the desire for beautiful shared public spaces increased. In Portland, Maine, plans for the Western Promenade began in 1836 as the city began acquiring land. Designed by the Olmstead firm, the park offers views of the White Mountains and is on the National Register of Historic Places. The neighborhood is also a historic district. 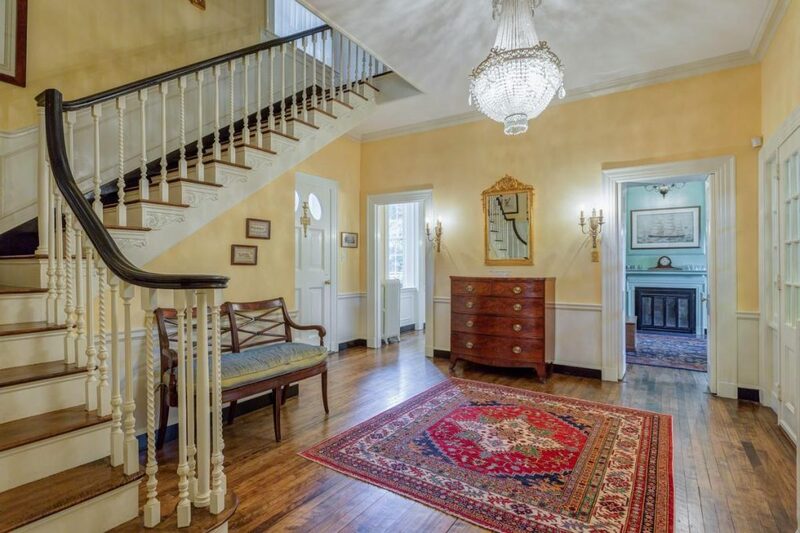 In addition to the park and the views, the Western Promenade also offers plenty of fodder for lovers of older homes, with Victorians, Queen Annes, Italianate, Colonial Revival and other styles represented. 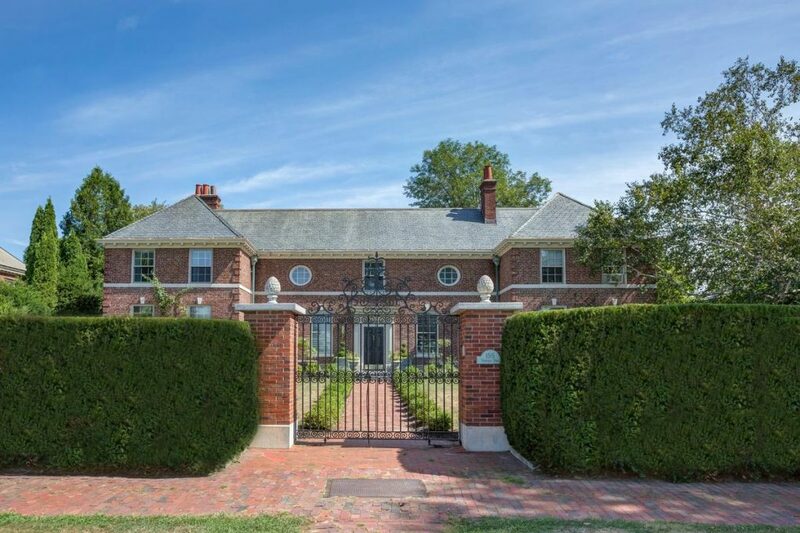 Manderly, also known as the Walter G. Davis House, was built in 1921 and is a brick Regency style home designed by prominent architect William Lawrence Bottomley. Bottomley is most known for his design of New York City’s iconic River House apartment building. According to a website on the property, Davis and Bottomley met while Davis was a young attorney in New York. The Davis family fortune grew from ownership of the Portland Packing Company, a leading exporter of canned goods. Bottomley often visited Portland and the Davis family and received the commission for the Davis family mausoleum. After Walter G. Davis’ father died in 1918, Mrs. Davis decided to build a home for her youngest son and herself at 155 Western Promenade in Portland. She hoped to duplicate a house in Regency Park in London, where she had earlier enjoyed living and even sent Bottomley there to study the structure and to draw the new plans based on that house. Sadly, Mrs. Davis died four months before the completion of the residence; however, her son lived there for the next 46 years. Walter G. Davis would become the author of 19 books and 40 articles on genealogy as well as the president, for decades, of Maine Historical Society, even using his own personal fortune to support the society during the Great Depression. The home itself reflects a wealth of history. 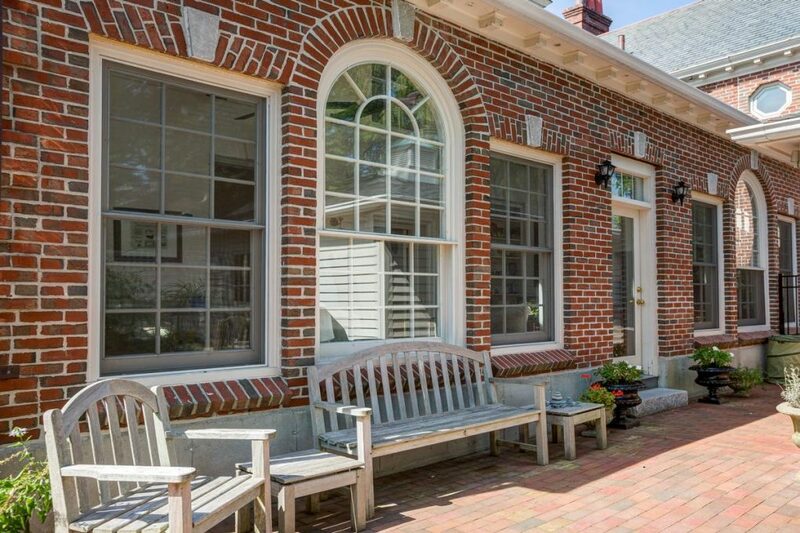 One of the most striking features is a 12 x 36-foot tiled solarium with skylights, soaring Palladian windows, a porcelain gas fireplace, and exit to the back gardens and patio. 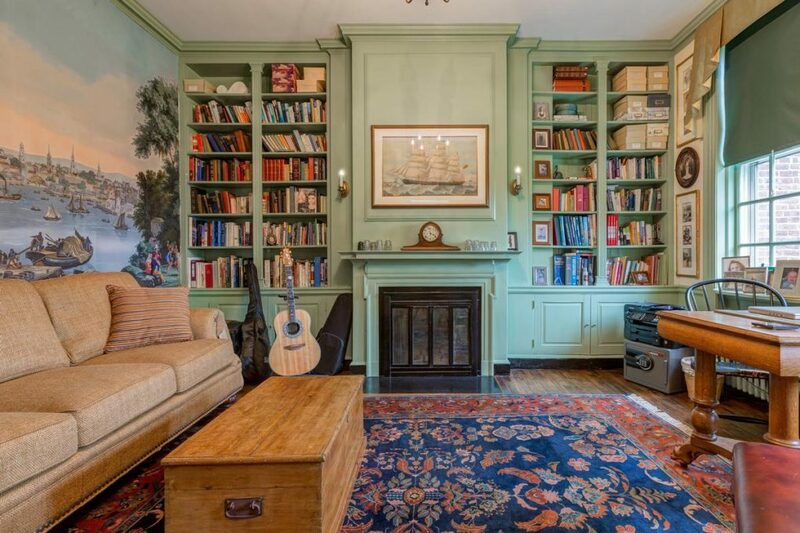 The library features elegant paneling, built-ins, a fireplace, and a restored Zuber and Cie mural ordered from France by the owner and installed under the direction of the architect. The panel shows a romantic view of early Boston and dates back to Zuber et Cie’s Views of North America in 1834. A similar restored version was installed in the White House by First Lady Jackie Kennedy and Manderley’s Boston Panel was made from the same blocks. A gallery with garden views leads to the right pavilion’s 32-foot paneled salon, with a Neoclassical fireplace, views of Mt. Washington, and original built-in Grand Tour paintings of Florence that can be seen above the doorways. 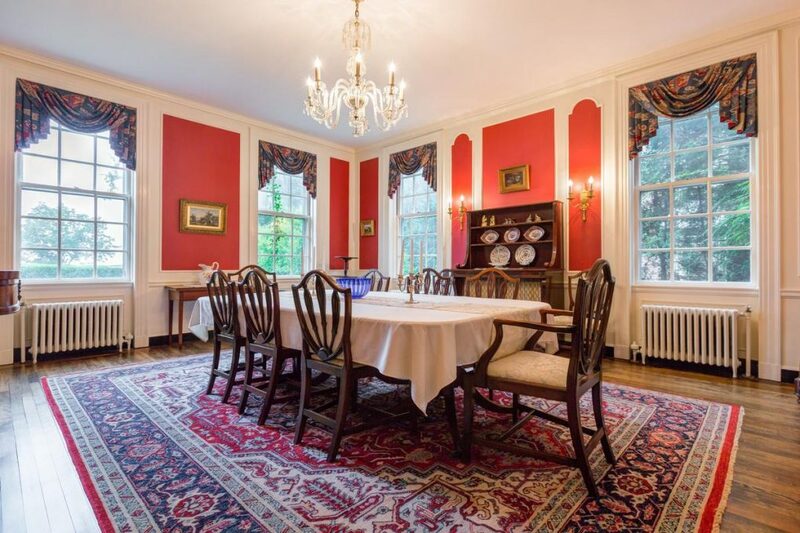 The North Pavilion includes the dining room with room to seat 24, original crystal chandelier, original urn sconces, and spectacular westerly views of the Presidential Mountain Range and sunsets. The kitchen and two pantries and also contains original built-in 72-inch glass cabinets, Monson slate and Carrera marble counters. 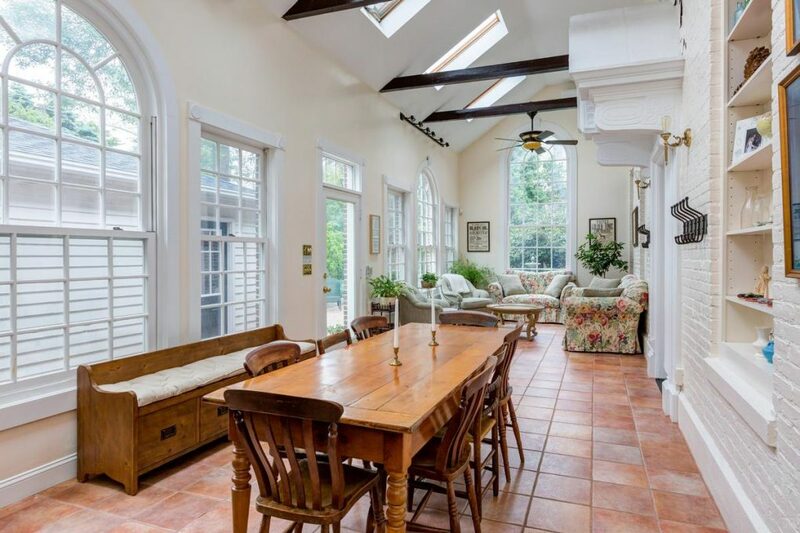 The classic charm is augmented by a full complement of modern appliances including a Thermidor wall oven set , 42-inch Thermidor refrigerator, and separate glass-door beverage refrigerator. 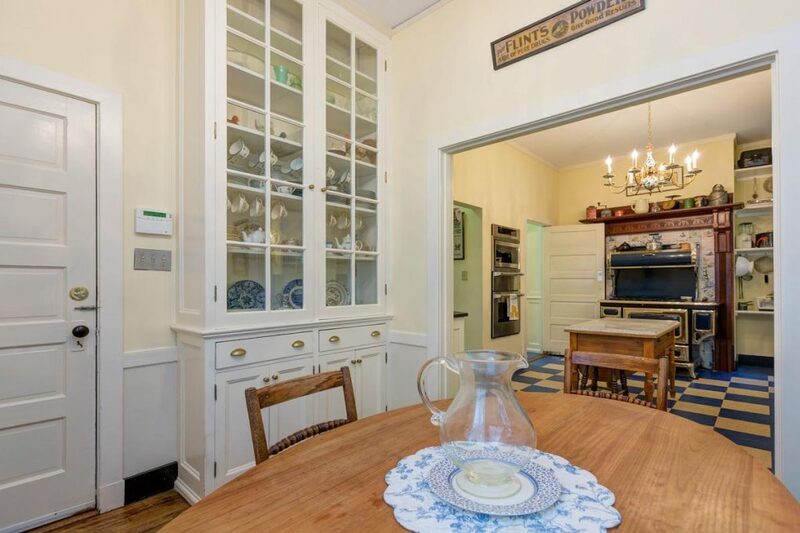 There is also an attached breakfast room with built-in china cabinet. 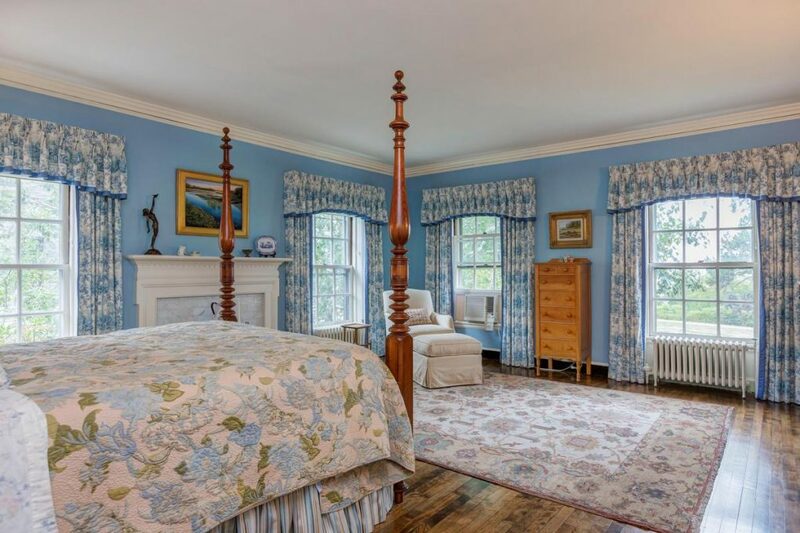 The second floor includes a master suite with a porcelain and soapstone gas fireplace and marble-filled master bath with original soaking tub and separate marble 48-inch spa shower with seat. 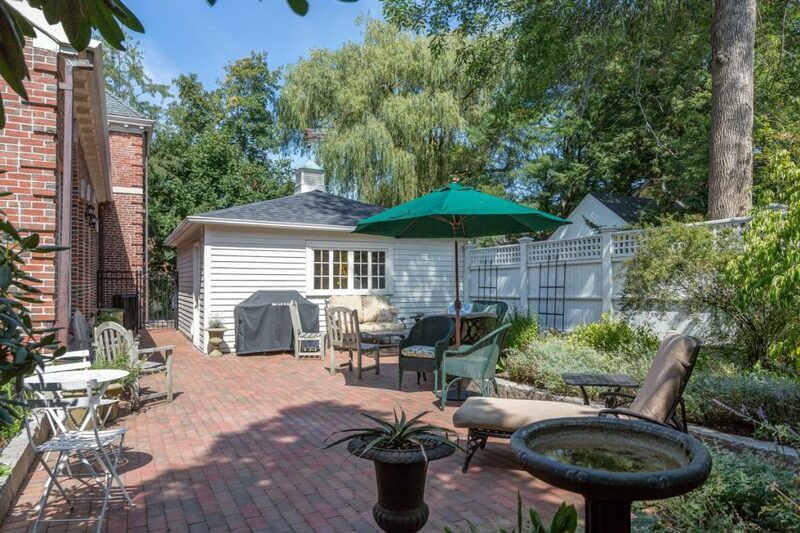 The private back yard includes a patio and a two-car garage with decorative cupola and power door that can be reached via a back alley. 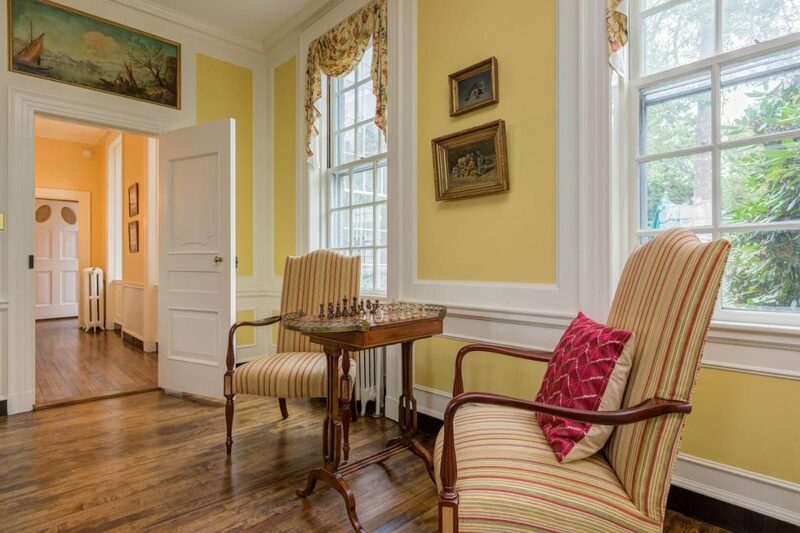 This historic property is listed with Town & Shore Real Estate for $1.525 million and is showcased by Luxury Portfolio.